Based in the United State of America working in the Lord's Vineyard as a Pastor before his appointment as the Media Aide to the Vice President, Prof. Yemi Osinbajo; Pastor Laolu Akande is the latest target in the seemingly determined fight back of the defenders of our national commonwealth. He is no slouch in media matters, being an accomplished reporter and leading journalist who became a national editor way back in 1997 before his 30th birthday. His last reportorial assignment was in the US where he represented The Guardian newspaper including reporting from the White House and the UN. Since he left the paper is yet to fill the vacuum he filled for very many years before returning to Nigeria in 2015. Laolu Akande’s journalism credential is sterling and he has brought this to bear in the way he relates with reporters and media practitioners on his present job. If one newspaper reporter chooses to isolate himself when most media practitioners have always commended his way of handling thorny media issues, then it’s unfortunate and shows something else including bad belle is at play here. The art of information management requires that synergy exists between reporters/media and the government. It does not necessarily imply that a frosty relationship must exist between the media and government. The basic knowledge we acquire in mass communication class is the need to communicate so that the society will continue to develop and not to use the power of the pen to destroy. This does not obviate the watchdog role of the media. To the best of my knowledge, Laolu Akande has in the course of his duties passed the integrity test and indeed surpassed the expectations of many Nigerians in his job performance. In discharging his assigned duties he has always been calm and collected. His human relations has remained a source of pride to many of his colleagues in the journalism profession. A close contact with Mr. Laolu Akande will prove to any discerning mind that his humility is disarming and sense of judgement inspiring. For many people Laolu Akande has utilised any available opportunity to mix well with his colleagues and he does not have a record of begrudging people, even his adversaries. In the estimation of many Nigerians Mr. Akande’s decision to leave America and return to serve in the present administration is a mark of patriotism and it is only deserving that we avail him of our support as he continues to serve the nation in his present capacity. Nigeria is at a stage when all hands must be on deck to support the Buhari administration in its efforts to reposition the country, and this can only be realised with the cooperation of all Nigerians including the media. It does not augur well for practitioners in a strategic sector like the media to be pulling apart when they can work together for the interest of the ordinary Nigerian. ” I am interested in knowing Laolu Akande, the man; quietly being an indispensable figure at the villa, for good reasons” – Alexander Nochie Onukwe (@nochieonukwe). ” When you are good, you are good! 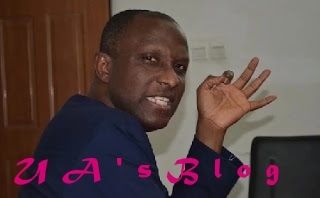 Laolu Akande, Welldone Sir….” – Siraj (@sirajabdsamiu). ” I can’t but admire the candour with which Laolu Akande is reporting the activities of the Acting President” Son of David (@osy_suave). The above randomly selected quotes aptly speak for themselves about the person of Laolu Akande and his job rating. I rest my case.